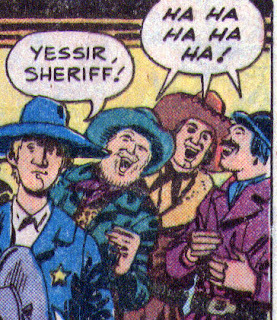 Matching Dragoons: Jonah Hex #34 "Christmas in an Outlaw Town"
This does look like fun, and seeing Jonah laughing is definitely a bonus. 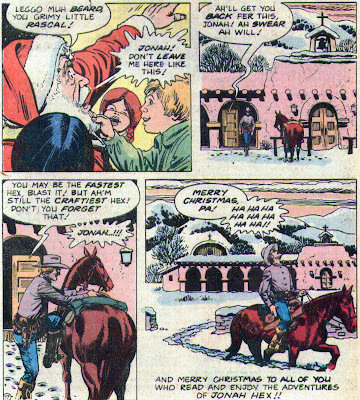 On the other hand, all the Santa Claus stuff is an anachronism. 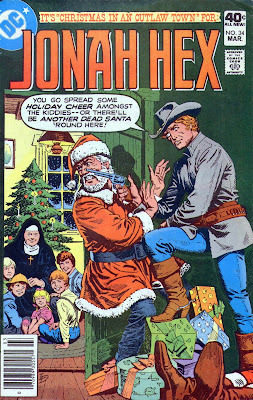 Wasn't it Nast who came up with the cartoon of Santa Claus? However, I think that was in the 1880's when the idea began to spread. Heck, we didn't even have Christmas trees until after Queen Victoria's marriage to Albert made it popular...unless you were of Germanic descent. I know...blah blah blah. 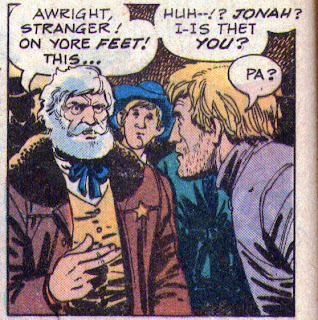 But it sure was nice to see Jonah outwit his Pappy for a change. Actually, according to the History Channel, Thomas Nast developed the modern Santa in 1863 and the practice of setting up Christmas trees was pretty widespread in England and the US by 1850. Dwayne, you are better at your research than I am.